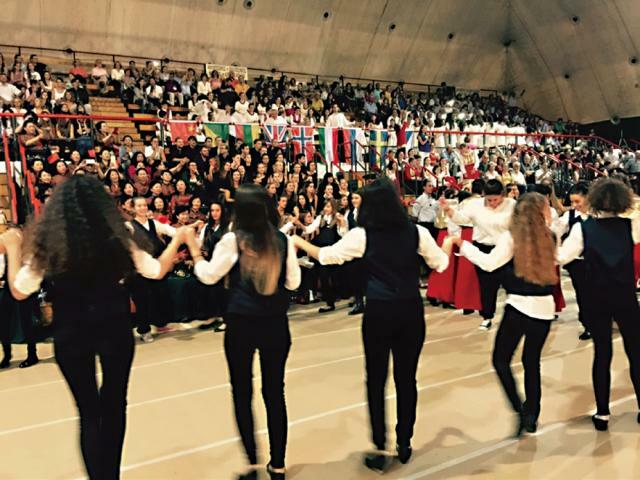 The Kalamata International Choir Competition and Festival 2015 was held in Kalamata, Greece, from October 14 to 18. Participating in this international competition, which included contests of different difficulty levels, casts and musical schools, was advertised as “singing in the land of gods” Most competitors, with the exception of the Zhejiang choir, were world-leading professional teams made up of top-level students, making the Chinese contingent’s success particularly impressive. “This choir competition can be called a real international competition,” said chorus president Yan Shengmin. 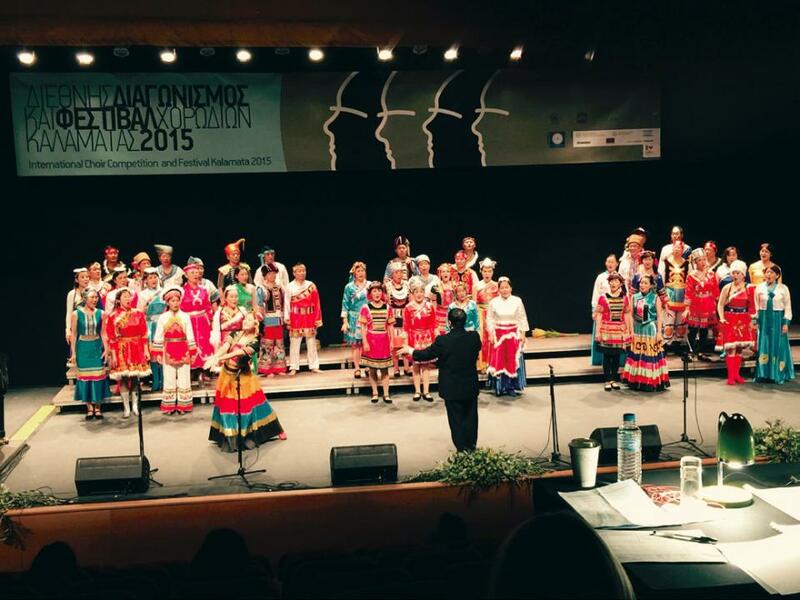 “Led by Master Cao Ding, fulltime conductor of the China National Symphony Orchestra Choir, the amateur Zhejiang Song & Dance Theater Chorus showed its best artistry.” During the Kalamata International Choir Competition, the Zhejiang chorus, dressed in the folk costumes of Chinese ethnic minority groups, selected popular Chinese tunes such as “Jasmine Flower,” as well as more international numbers like “Pizzicato-Polka,” appealing to both audience members and the media with their elegant presentation. Cao Ding fondly recalled the approving applause of the audiences, adding that many spectators even gave the members of the chorus a thumbs-up. “By earning headlines in Greek newspapers and being embraced by our European audience, we achieved the purpose of promoting Chinese culture and exchanging friendship,” Cao said. In the 22 years since its establishment in 1994, the Zhejiang Song & Dance Theater Chorus has competed abroad many times and won three gold awards and five silver awards in international competitions. The Zhejiang cities of Wenzhou and Jiaxing (which has 156 choruses in its Nanhu District alone) have emerged as singing hotspots, making Zhejiang the leading region for choral singing in China after Beijing and Guangdong Province. Asked why his team didn’t bring home a gold medal, Yan commented that a talent bottleneck remained a challenge, as is the relatively advanced age of his singers. The Zhejiang Song & Dance Theater Chorus has now launched a program to attract more young members who are more familiar with contemporary choral music to foster an atmosphere of mutual learning. “Setting up a youth chorus is also a good option,” he added.